Cook at Home Paella is always willing to help the community. 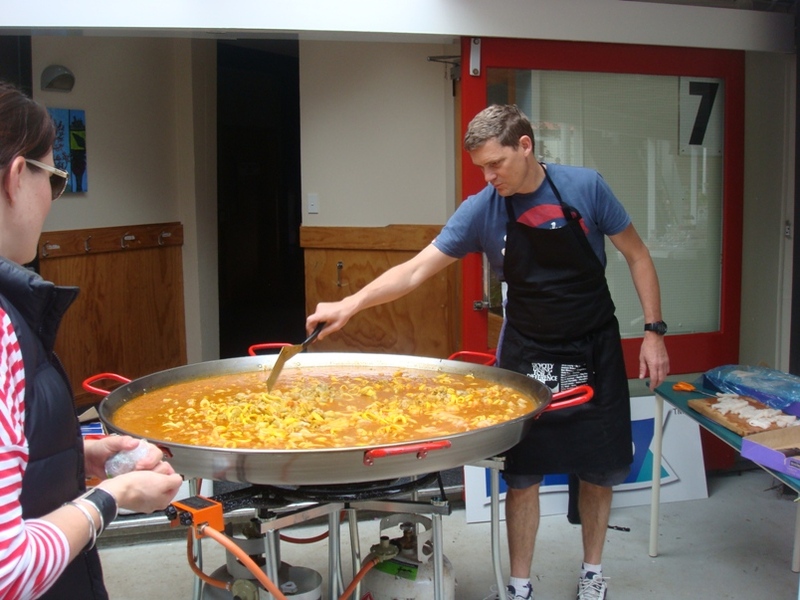 They are happy to let schools and related cultural events borrow their Paella Pan free of charge and provide all the help you need to create the perfect Paella, as they offer instructions on how to cook it. As most schools can source ingredients from local sponsors this becomes a very effective way of making money for your school/charitable trust. Cook at Home Paella can also come to your event and sell hot churros and tea, coffee and chocolate, giving you 50% of the sales revenue. They have our own catering trailer that's a regsitered kitchen, so they can slot in anywhere. "I used the paella pan at our school's International Food Festival. The pan drew lots of attention and the aroma combined with the vibrant colours of the paella meant that we were sold out in no time! It was so easy and so tasty! On behalf of our college, I would like to thank Jose and the team for their professional, prompt and helpful service. - Joanne Cook"